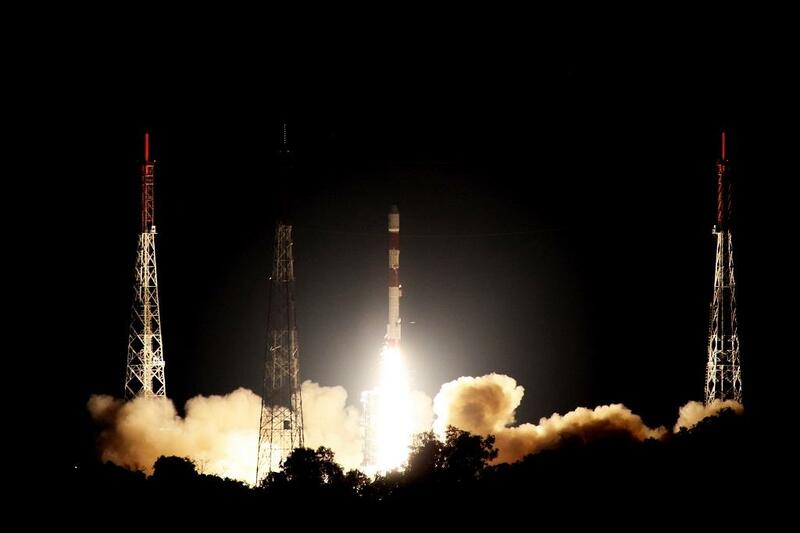 On September 16, the Indian Space Research Organisation (ISRO)’s Polar Satellite Launch Vehicle (PSLV-C42) successfully launched two satellites—NovaSAR and S1-4—from the Satish Dhawan Space Centre (SDSC) Sri Harikota Range (SHAR) in Andhra Pradesh. According to an official press statement by ISRO, the PSLV-C42 lifted off from the First Launch Pad of SHAR at 10.08 pm (IST). Both satellites were injected into the Sun Synchronous Orbit, about 17 minutes later, at an altitude of 583 km. NovaSAR carries S-band Synthetic Aperture Radar (SAR) and an Automatic Identification Receiver payloads. The satellite is to be used for forestry mapping, land use and ice cover monitoring, flood and disaster monitoring and maritime missions. It will be operated from SSTL’s Spacecraft Operations Centre in Guildford, UK.